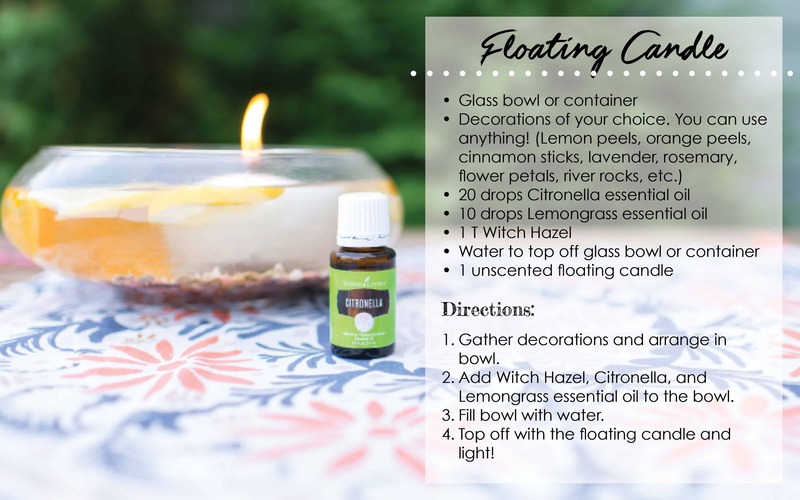 This Floating Citronella candle is so easy to make yourself and very effective in repelling annoying bugs this summer, while also creating a fun ambiance to your outdoor areas. 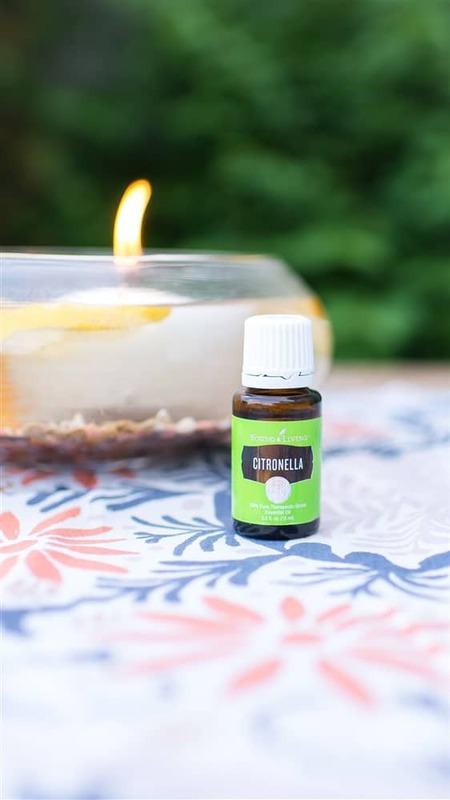 Citronella has been used for over 50 years as a repellent used for various insects such as mosquitoes, biting flies, and fleas. Spruce up your yard with this beautiful DIY citronella candle. It is not only easy to make, but it will change the look of any table and it actually WORKS! Did you know that many of those store-bought citronella candles don’t actually contain citronella oil? Instead, the candles are often just citronella ‘scented.’ BIG difference. 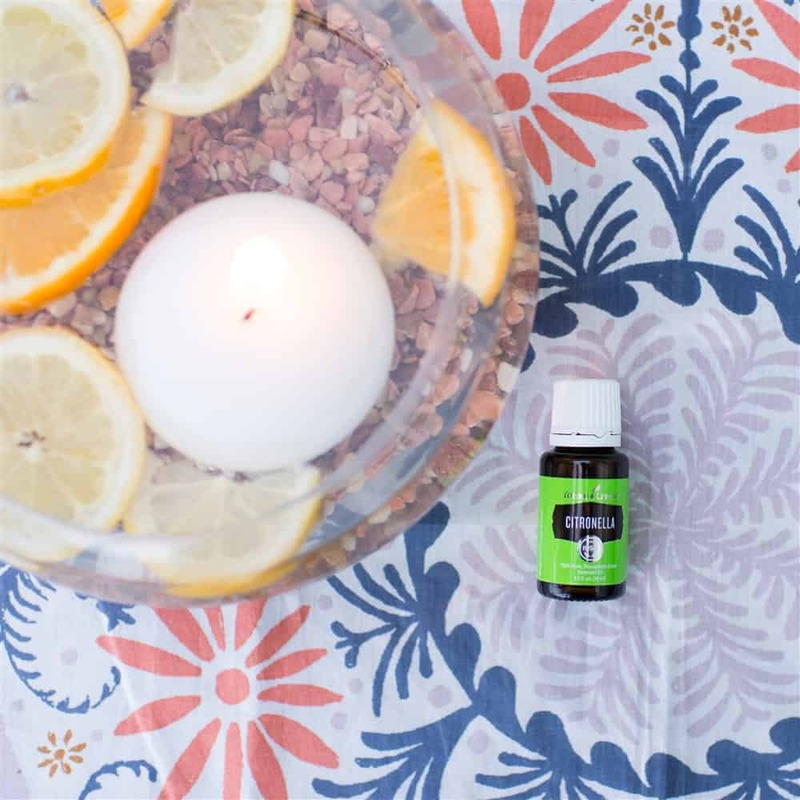 When you make your own using a high quality Citronella essential oil you will be able to notice the difference in how much better it actually works. *Saving Dollars and Sense Tip: I have also had great success just using unscented tealight candles that I had on hand. I always use and recommend these high quality essential oils when using them on your skin. Other “essential oils” could contain added chemicals or fillers oils that I am trying not to expose myself to when I can help it. These Essential Oils are THE BEST and I’ve had great results with them. Plus since they aren’t watered down they actually work better and last longer. 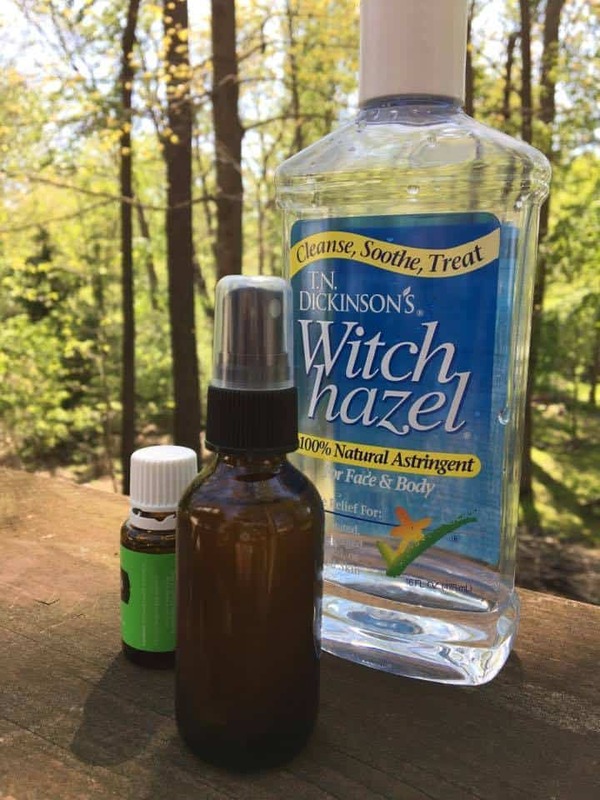 You might also be interested in my Homemade Citronella Bug Spray Recipe.